Science. Beer. Learning new things. Does it get any better? Science on Tap is our only program for adults, and adults only. It’s the perfect opportunity to come check out ExplorationWorks without having to awkwardly stand behind a 7 year-old while you’re waiting to take your turn at our new water table. Or worry about accidentally hitting a child in the face while you’re playing with the pin-impression board. (Don’t laugh, you know it’s happened before!) It’s a great time to come to ExWorks, explore, relax with a beer (or wine, or water. We’re not picky.) and learn about some pretty neat science that is being done in and around our community by our neighbors and friends. This month’s Science on Tap is focused around caves and the wilderness below. Our presenter, Amanda Hagerty is the Education and Outreach Manager for the Montana Wilderness Association. She is really excited to share her passion for caves, and the science being done in and around them, with the people of Helena. I recently sat down with her and had the chance to ask her a few questions about what makes her passionate about science, wilderness, and the awesomeness that is Montana. What is your favorite part about working for the Montana Wilderness Association? I appreciate the collaborative approach MWA takes to land management and public land processes. MWA does not just talk the talk, we walk the walk, by putting people on the ground and stewarding the landscapes. Where is your favorite cave to explore? My favorite cave to explore? That's a good question, and also quite difficult. Each cave is so unique and offers excitement in its own way. As far as a tour cave, my heart will always belong to Lewis and Clark Caverns, as it's where I got my start with caves and where I learned to go caving. As far as cave exploration, my favorite place would actually be out of state at Wind Cave National Park. Many miles (possibly hundreds) have yet to be explored and while surveying cave there you are certainly in another world, filled with rare delicate cave formations and winding passageways. If you didn't work for MWA, what do you think you would be doing? If I weren't working for MWA I would be advocating for Montana's state parks in some full-time capacity. It's easy to appreciate places like Yellowstone and Glacier but it's another thing to truly explore Montana's amazing parks and find what makes them each so unique and wonderful. Do you have anything that you want people to know about caves before the talk on tonight? If you have seen one cave, I cannot emphasize that you have NOT seen all caves. I have heard many times before you've seen one cave, you've seen them all - that couldn't be further from the truth. As mentioned before each cave is so diverse and that is one of the things that makes them so amazing and worth exploring. Thanks Amanda, and we’ll see you all tonight! 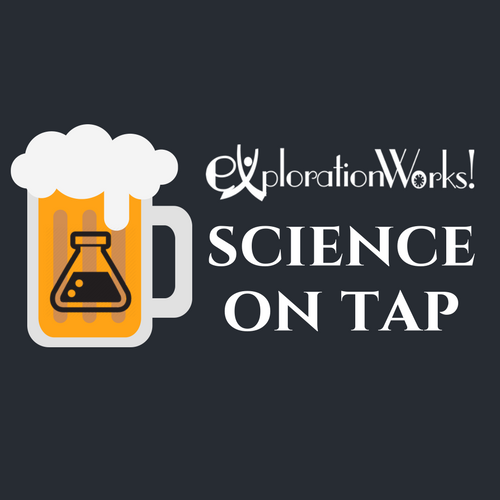 Science on Tap: The Wilderness Below begins at 6:00 p.m. tonight (Wednesday, Feb. 21) at ExplorationWorks. For more information on this program, visit www.explorationworks.org/science-on-tap.